this book cover fundamental concepts - ego states (which describe personality), transactions (which offer a way of thinking about relationships), games (how people confirm relational patterns), scripts (how people create identity) - and introduces two other s that are of particular relevance to working with children; a model for systemic assessment, and a note on contracts and contracting. 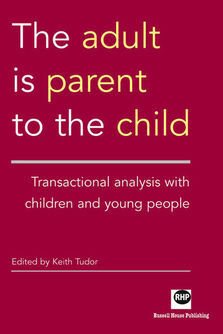 The adult is parent to the child then goes on to show how the child or young person cannot be understood outside of the context of their environment, provides a range of opportunities to consider the role of TA in therapeutic practice with them, and explores and explains continuing developments in various elements of TA theory. 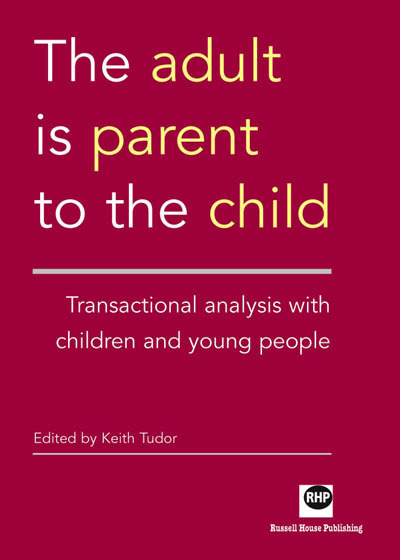 Drawing on contributions from experienced practitioners in all fields of TA - educators, psychotherapists, and organisational consultants - this book provides the most current and comprehensive account of the state of both the art and the science of TA with children and young people. It locates TA's therapeutic, educational and organisational work with them firmly on the map of current practice. It not only offers core reading for TA courses, it also provides enrichment for all other courses that train other professionals who work with children and young people. Keith Tudor is a qualified social worker, a qualified and registered psychotherapist, group psychotherapist and facilitator. He is a Teaching and Supervising Transactional Analyst and an Honorary Fellow in the School of Health, Liverpool John Moores University.